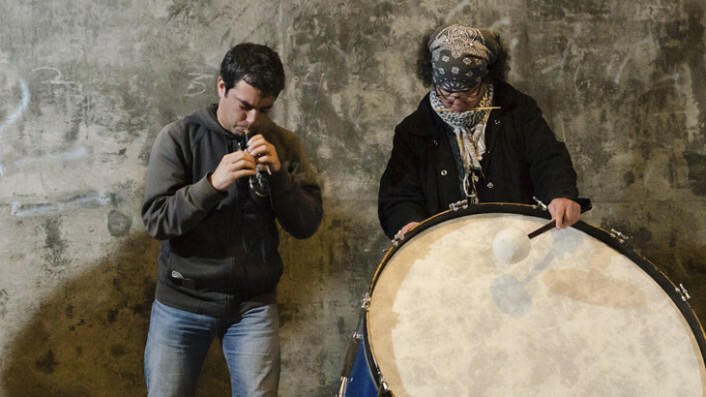 The Crossing is a collaborative project involving community workshops and open rehearsals culminating in a live performances throughout the San Francisco Bay Area. Through a period of deep development and performance with an ensemble of like-minded ‘seekers’, the goal is to reach a state of communication with a “spirit” world. Edward Schocker directs an ensemble of master musicians and improvisers as they examine the commonalities between our contemporary performance practices and ancient traditions to create a unique sonic vocabulary that combines form with open improvisation. The members of The Crossing include Dohee Lee, Suki O’Kane, Adria Otte, Kanoko Nishi, Dylan Bolles, Soo-yeun Lyuh and Edward Schocker.